2012/13 season brought a number of significant achievements. Highest league placing since 1998. Most points accrued since 1989-99 when an identical haul of 80 points won the Northern Premier League title for the Robins. In the 42-match season of 2012-13 (exc. play-offs), the first half of the campaign earned Altrincham 34 points whilst the final 21 matches yielded 46. 100 goals were netted in 42 matches, ten more than the previous season. At the back, 51 goals were let in, compared with 71 in 2011-12. The goals scored were the highest number since 1967-68 when Alty were in the Cheshire County League. The first half of the 2012-13 campaign yielded 48 goals, whilst 52 arrived in the second period of the season. It was in defence that the major improvement was witnessed; after conceding 11 times in the first four matches and 32 times by the halfway mark of the season, only 19 more goals were let in during the second half of the campaign. * 2005-06 Alty's deduction of 18 points reduced their official total to 23 points and sent them to 22nd and bottom place. Despite continuing bad luck with injuries, Simon Richman had a fine season for the Robins. Here, Gavin Rathbone of GR Photography captures Simon in action during the home game with Bradford PA.
Altrincham continued the process of the previous season of bringing youth team players into the squad. No fewer than five current youth teamers (Bullen, Mooney, Riley, Samberg, Weatherby)figured in a first-team league squad in 2012-13, whilst three previous graduates also did so (Grimshaw, Reid, Watmore). Just two loan players were used in 2012/13, midfielder Danny Boshell from GUiseley and Chester FC's Ben Mills. 28 players were named in a league squad, with 5 of these being goalkeepers (Coburn, Bullen, McMillan, Reid and Samberg)! Apart from Coburn, of these only one (McMillan) made a league appearance, but Reid did start a cup match. A sixth goalkeeper, Joe Collister was signed but never named in a squad, due to injury. In 2011-12 38 different players were named in league squads. For the first time in many years, apart from keeper Jamie Greygoose, not a single player who joined the club (as opposed to being a fixed-term loanee) in 2012-13 left the club during the season. No fewer than 20 players who had never previously played for Altrincham's first team were named on a league or cup team sheet this season. Only four of these never got on the pitch (i.e. keepers Bullen, Greygoose and Samberg, and defender Alex Weatherby), so 16 Alty debuts were made this campaign. It was the best season for more than a decade in terms of league "doubles", with six being completed - over FC Halifax Town (5th later promoted), Harrogate Town (6th), Boston United (16th), Corby Town (20th), Droylsden (21st) and Hinckley United (22nd). Altrincham also beat Brackley Town twice but also lost to them twice; the teams having clashed in the play-offs as well as during the normal season. Whilst taking 18 points out of 18 from the three clubs in the relegation spots, Alty took just 4 points out of 18 from the top three clubs in the league. Alty had a better year in the national cups; they reached a First Round Proper replay against Burton Albion in the FA Cup and the First Round Proper of the Trophy. However, their performance in the Cheshire Senior Cup was poor, a weakened side losing 0-4 at home to Congleton Town in the first tie played in that competition. Whereas Damian Reeves's 44(+1) appearances was the best record in 2011-12, in 2012-13 there were two players who made 50 appearances. No one played in every league game, though Coburn and Reeves would have done had they not been rested for the play-offs in the last match of the scheduled season against Droylsden. As Stuart said at the time, "Lee has decided to rest his two best players"! In fact, there were 13 players who made 40+ appearances underlining the stability of the squad. The only players named in a league squad who did not make a league or cup appearance were four goalkeepers Collister, Greygoose, Bullen and Samberg, and defender Weatherby. In 2012-13 Altrincham hit 100 league goals, plus 2 more in the play-offs. This was their best total ever in a league within the pyramid structure. With 16 cup goals, a total of 118 was recorded in 2012-13 from 52 games in all competitions. In 2011-12 the totals were 94 from 45 matches. During the season Damian Reeves notched his 100th goal for the club, Shaun Densmore his 200th appearance, Nicky Clee his 150th appearance, Matt Doughty his 100th appearance, whilst James Lawrie and Simon Richman both passed 50 appearances. Alty started the season with just seven players who had previouly made 20+ starts for the club; by the end of the season 13 had done so. League goals were scored fairly evenly through the 90 mins this season. Fifty goals were scored in first-halves and 52 after the interval. The quietest spell in games were the opening 20 minutes when just 14 goals were scored. The most likely time for Alty to score was in the 31st-40th minute period, when 17 were netted. Right: Alty's two leading scorers in action; Damian Reeves keeps his eye on the ball, against Chester FC, with Duncan Watmore also in attendance. 11 to 20 mins: 8 . 4.9.12 v Gainsborough Trinity (away). MISSED. This was the least damaging miss, as Damian Reeves netted the rebound after the keeper had saved. SCORED. Reeves netted just before the interval. SCORED. Reeves netted again, this time in the second half. MISSED. Reeves's shot hit the top of the cross bar was not a costly miss as Alty won 3-0. 13.10.12 v Corby Town (away). MISSED. Reeves's third miss was on target but saved by the keeper. Alty won 5-2 so, again the only damage done was to the goal difference. SCORED. Matt Doughty took over from Damian Reeves and scored. MISSED. Again the keeper saved a Reeves effort. As the game ended 3-3 and Alty lost the replay, this was arguably costly in financial terms. SCORED. Ryan Brooke scored Alty's sixth, from the spot, in an 8-0 win. MISSED. This time Reeves hit the penalty wide and the game ended goalless, so two points were lost as a consequence. SCORED. Not daunted by his earlier misses, Damian Reeves converted the penalty award. MISSED. Matt Doughty's kick was stopped by the keeper, an outfield player, who had taken over from the red-carded custodian. Alty won 3-0 so, again, no loss of points was incurred. SCORED. 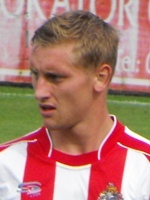 Shaun Densmore assumed the responsibility for penalty-taking and was successful. MISSED. This time Densmore's kick was comfortably saved. But Alty won 2-1 to spare the Alty captain's blushes. MISSED. Matt Doughty had his penalty saved in a 2-2 draw, so two more points were lost. MISSED. Damian Reeves tried again but blasted his kick well over the bar. However, a 6-0 win meant there was no loss of points. This record far exceeds the previous worst in recent years, 2010-11 and 2009-10, when three spot kicks were missed in each league campaign. Alty lost only twice in the league by a margin of three goals; symmetrically these occured in the first and last games, home and away to Brackley Town! However, they also beat Brackley twice during the season as well as losing by a three-goal margin 5-2 to FC Halifax in the FA Trophy. Curiously, beat both promoted teams (Halifax and Brackley) twice during the season, doing the double over Town. However, the biggest defeat of the season was with a much changed side which fell 0-4 to Congelton Town in the CSC. Alty netted five or more goals six times; 8-0 and 6-0 v Hinckley, 7-1 v Boston, 6-0 and 5-0 v Droylsden and Histon. In the league, 13 clean sheets were kept, compared with just 2 the previous season. Three or more goals were conceded five times in the league and play-offs, compared with 8 times in two fewer matches in the previous campaign. 56 yellows and 2 reds were shown to Alty players in 44 league games compared with 49 yellows and 3 reds in 42 league matches the previous year, when Alty won the Fair Play award. The two players sent off in 2012-13 were Simon Richman and Shaun Densmore. Danny Hall and Luca Havern saw 7 yellows in the league with Hall picking up another in a cup game. The best behaved, apart from Stuart Coburn, was Duncan Watmore, with no cards in 46 appearances in league and cups. Alty's longest run of successive league wins was six, whilst the worst run of defeats was three. They had two runs of eight games in the league without defeat, each comprising six wins and two draws. Alty failed to score on six occasions but endured just two goalless draws. Home league attendances in 2012-13 averaged 868 over the 42-match season, compared with 826 in the previous year. Home highest: 2,428 v Burton FA Cup 1R. The highest in the league, at home, was 1,940 versus Chester FC. Away highest : 3,089 v Chester FC (BSBN). In the cups, 1,989 saw Burton entertain Alty in the FA Cup. Away lowest: 205 v Gloucester City (BSBN). In the cups, the lowest gate away was at Shildon (288). Apart from the disappointment of the play-off semi-final second leg, it was a successful season in virtually all respects (number of league goals scored and conceded, home attendances, number of victories, reaching FA Cup First Round Proper, etc.). And with nine, mostly young players already (May 2013) signed up for next season, [Shaun Densmore (24), Luca Havern (24), Nicky Clee (30), Duncan Watmore (19), Damian Reeves (27), Simon Richman (22), Jake Moult (24), Scott Leather (20), and James Lawrie (22)], manager Lee Sinnott is right to have confidence that there is scope for improvement next season.